Come join us in this magical class with Expert Tarot Readers Marcela Veron, High Priestess and Casey Zabala, creator of Wanderer's Tarot deck and guide. Dive into your intuition and deepen your inner guidance with the Tarot. 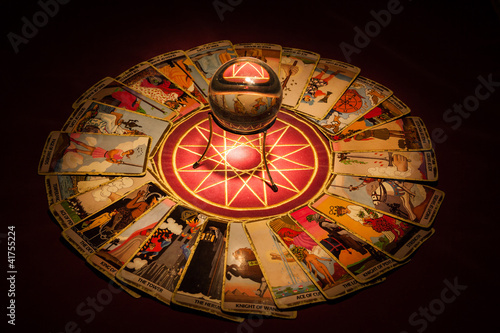 This intro class will take you on a powerful journey through the 22 Major Arcana, Suits elements and basic tarot spread. Each participant will divine their own personal Major Arcana Archetype to guide them throughout this journey of self-discovery. The perfect place to begin a serious study of the magical Tarot. Class meeting will be held at Crystal Way 2 Inner Sunset in San Francisco. You can bring your own tarot deck or use one of ours. Tarot decks will be available to purchase for your convenience. Check out the facebook event page and let us know you are going! "I am a * Priestess * Intuitive Reader * Interior Alchemist * Energy Medicine Woman * Essence Embodiment Coach * Sacred Arts Facilitator * Divine Lifestyle Designer *. If you are a career-driven woman, who feels like your intimate life is suffering or is less than desirable, and you feel like something is really missing in your life, I can help you reconnect to your magic and deepen your feminine essence so you can experience the soul-satisfying love life you truly desire. I dive deeper in creating a space that expresses your soul beauty and design your life to reflect a divine-driven lifestyle." Marcela holds a Master's of Women's Spirituality and Creative Expression; is a licensed The Art of Feminine Presence™ Facilitator, Advanced Professional Feng Shui Practitioner, Certified in Feminine Spirituality & Leadership and Vibrational Medicine. Marcela is also a skilled Face Reader and Hand Analyst. Visit www.sacredfemininemedicine.com to learn more about Marcela and her Private VIP, group programs and her other offerings.